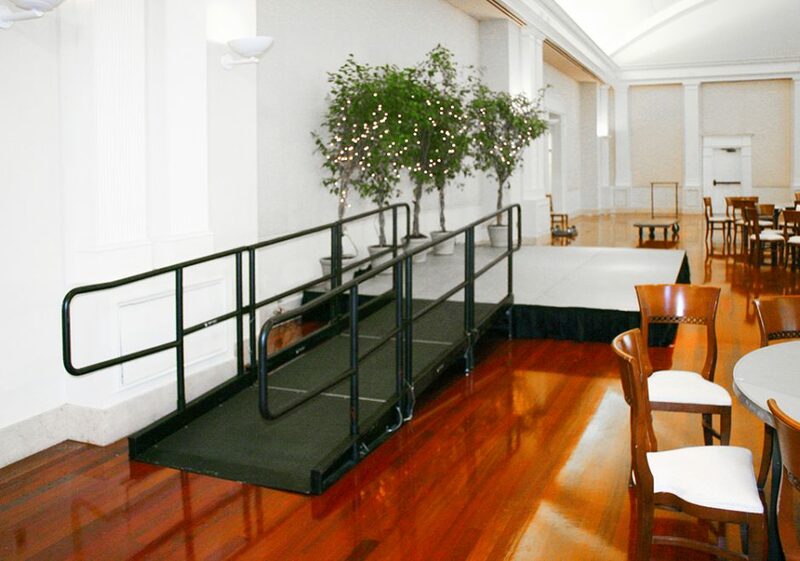 Our portable wheelchair ramp makes it easy to provide access to any event. 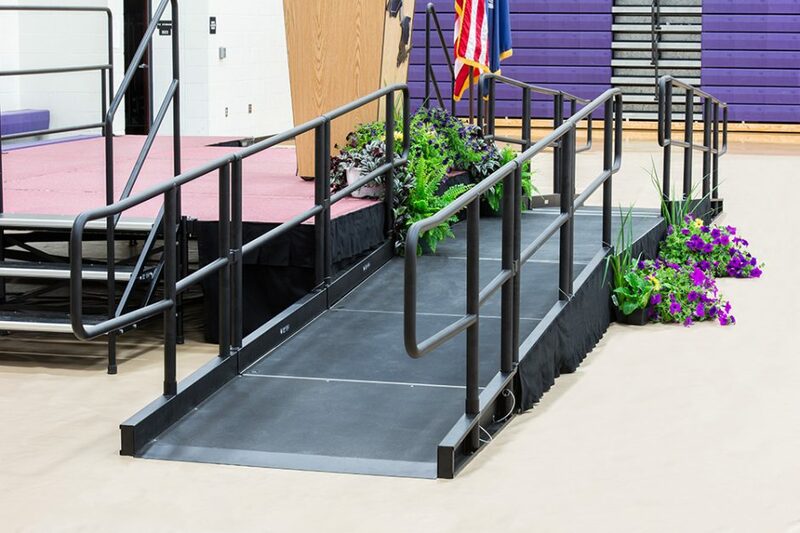 These portable wheelchair ramps are easy to set up and offer versatile configuration options, with access heights from 8″ to 72″. 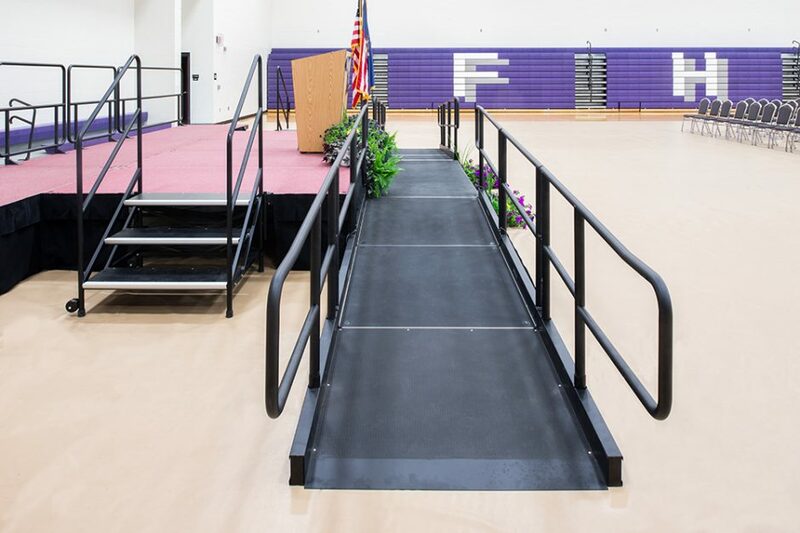 Secure guardrails provide safety and assistance. 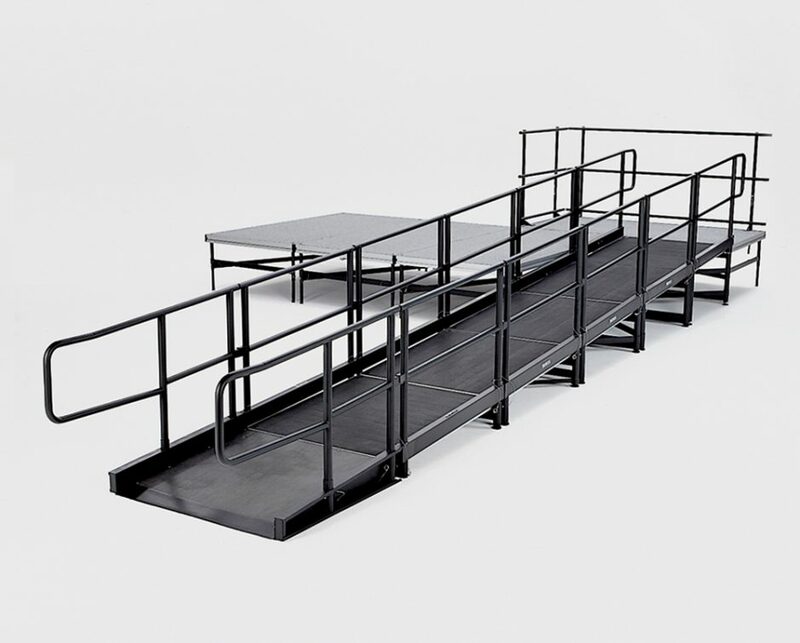 The incline of the assembled ramp is 1″ per linear foot. 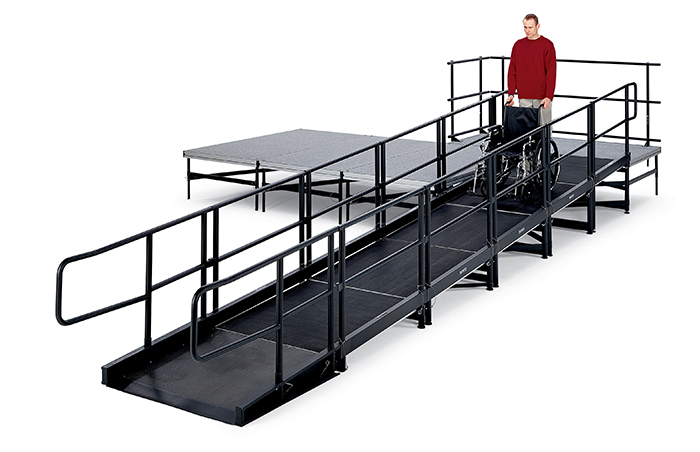 Our portable wheelchair ramp has a 6’x8′ landing/switch back at every 24″ height. 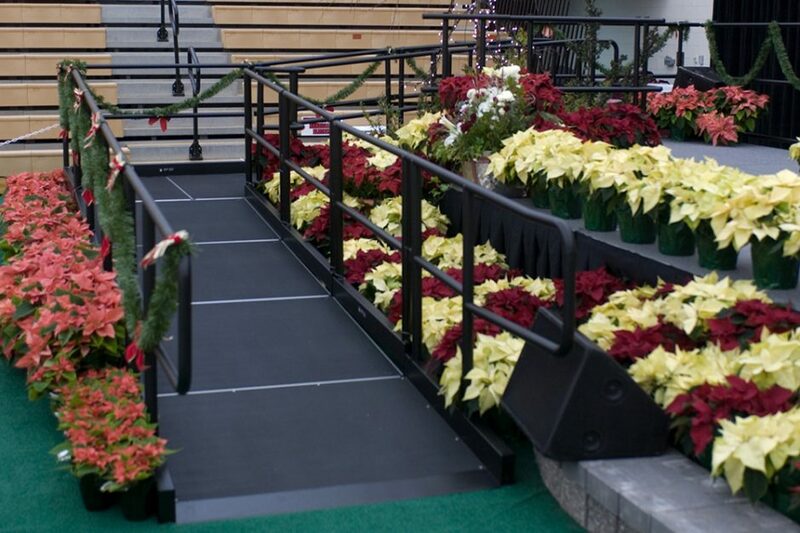 The portable staging decks on our wheelchair ramp systems are reversible with a black quad-ripple surface. 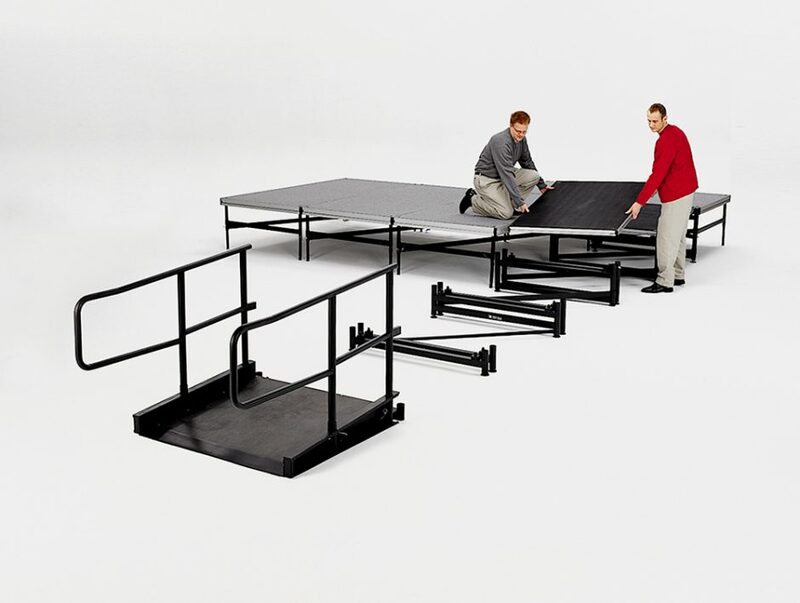 The system is easy to install with no single component weighing more than 100 pounds. 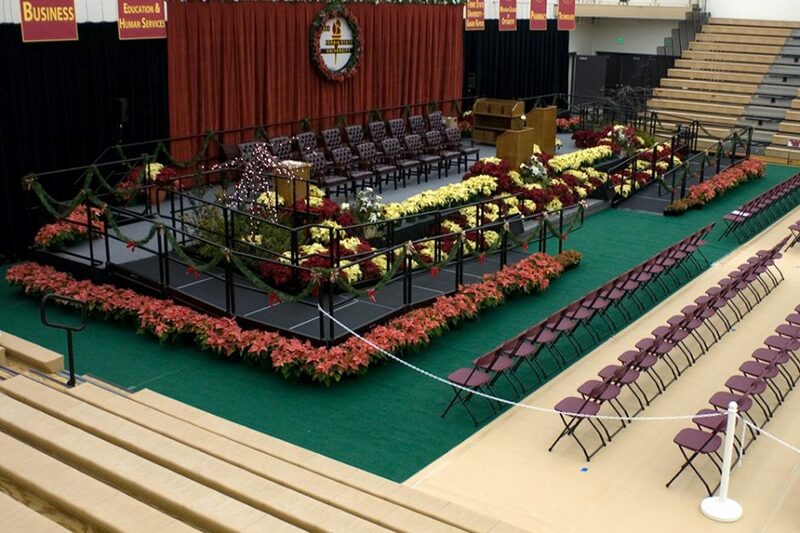 "StageRight was one of the most professional and customer friendly companies I have worked with. 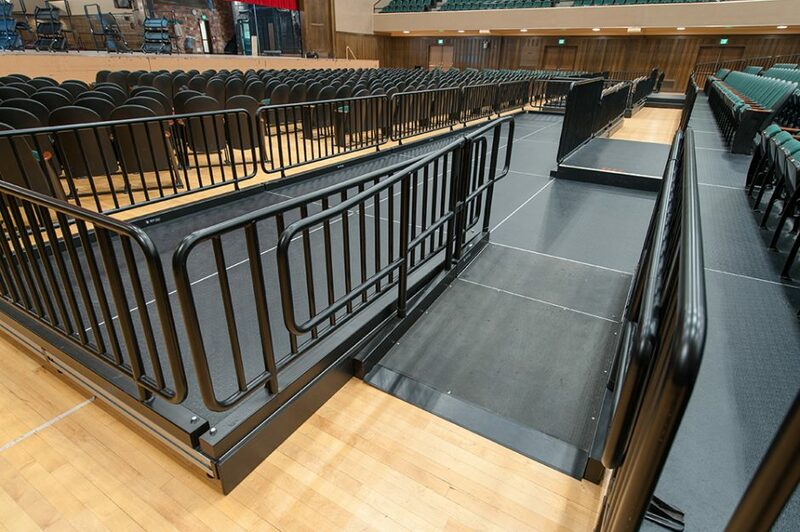 While we had issues out of the control of StageRight, they went above and beyond solve the situation within hours. 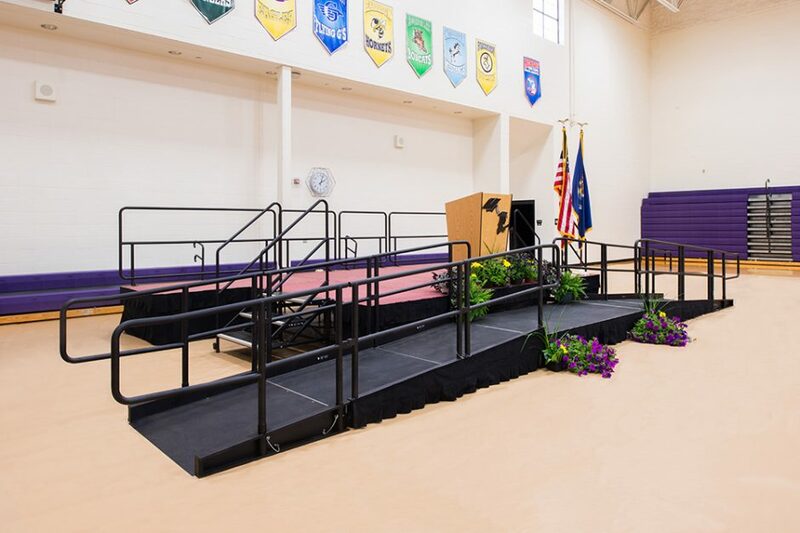 I would recommend any school or company to work with StageRight!" 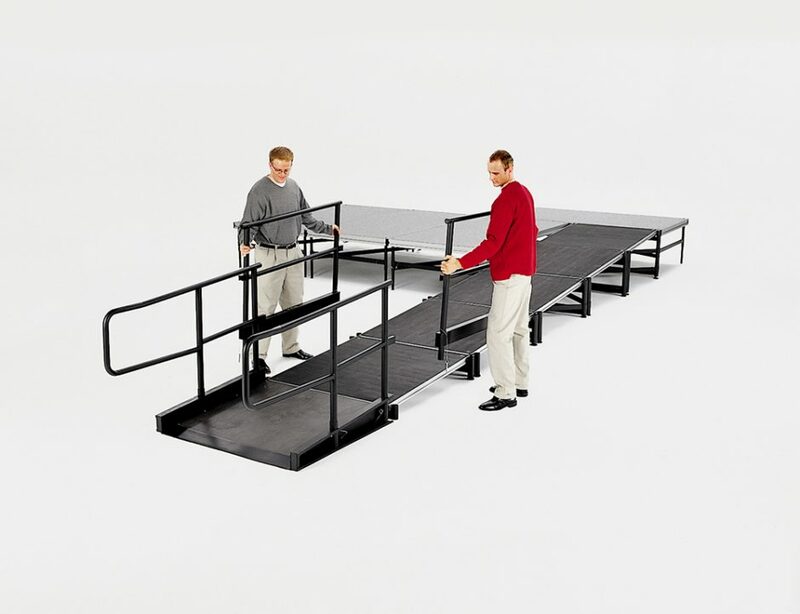 "Excellent customer service and parts were delivered ahead of schedule."